Wolf will have a monitoring role at Conti. 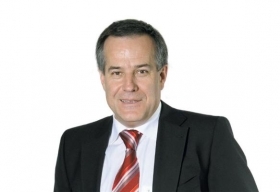 Former Magna International Inc. co-CEO Siegfried Wolf will join the supervisory board of rival supplier Continental AG. Wolf, 53, resigned from Magna on Nov. 15 to become chairman of Russian Machines OJSC, part of Russia's GAZ Group, leaving Don Walker as Magna's sole CEO. Continental said it will apply for Wolf's appointment at the local court in Hanover, Germany, where the supplier is based, within the next few days. Wolfgang Reitzle, Continental chairman, said Wolf's international automotive industry experience will enhance the board of the supplier. In German companies, supervisory board members have a non-executive, monitoring role over a management board. Wolf will continue as chairman of Russian Machines, which has industrial and engineering operations in the automotive, aviation, rail and road construction industries. An Austrian native like Magna founder and Chairman Frank Stronach, Wolf joined Magna Europe in 1994 and became Magna's co-CEO in 2005. Wolf helped to expand Canada-based Magna's business with European-based customers and he was a key figure in Magna's failed bid to buy Opel/Vauxhall from General Motors Co. during the latter's short-lived bankruptcy. Wolf will replace Rolf Koerfer on Continental's board. Koerfer resigned from the board Nov. 29 after critics said his role as legal advisor for Continental's majority shareholder, the Schaeffler Group, created a conflict of interest. Shareholder rights activists claimed Koerfer could put the interests of Schaeffler above those of Continental investors. Continental ranks No. 4 on the Automotive News Europe list of the top 100 global suppliers, with sales to automakers of $18.74 billion in 2009. Magna is No. 5, with sales to automakers of $17.4 billion last year.